It’s a new year, a great time to start fresh and undo the damage some of us may have done over the holidays! We all fall into that trap in December! My resolutions are to get to the gym more, and get organized! 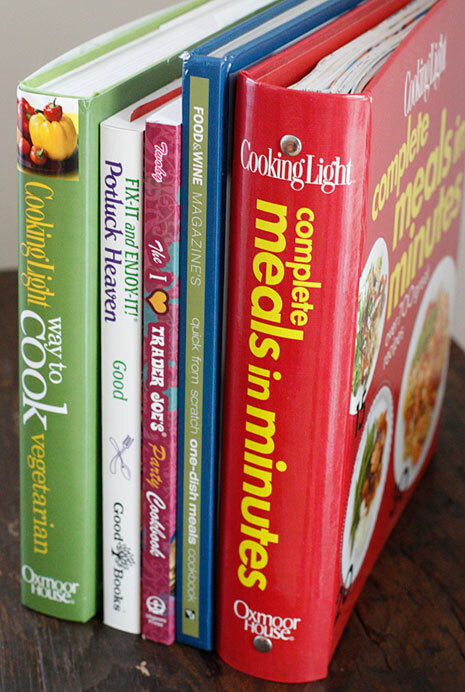 I’m even getting rid of some of my lightly or barely used cookbooks because my shelves are over-flowing! 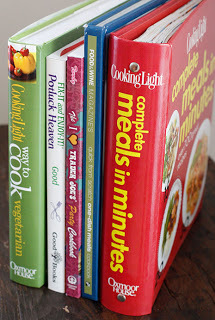 If you are interested, you can enter the cookbook giveaway on Skinny Bits which ends this friday. I thought I would start the new year with a post of my personal skinny favorites from 2011, ones I like to keep in my rotation because everyone in my family loves them. These are not all my favorites, just the ones I posted in 2011. Hope you enjoy and don’t be too hard on yourself, today is a new day!! These are delicious, great for company or any family meal! I’m a sucker for a good cheese steak. The men in your house will thank you for this one! 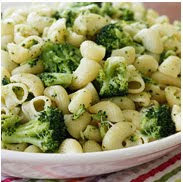 My favorite pasta dish, lightened up. Perfect dish for picky kids! My toddler loves this! I too would LOVE, LOVE, *LoVE* a belgian waffle recipe!!! That's actually what brought me to this sight tonight. Was disappointed that I didn't find one. Although all the recipes that I've tried here have been FantasTic!! Thanks Gina for all you do! I cannot wait to try the Swedish meatballs and the Shrimp/Avocado salad. I second your nomination of the chicken rollatini. We have that once a week at my house and everyone loves it. Thanks so much for all your fantastic recipes. I feel I (partly) have you to thank for my 38kg weight loss in 2011. I honestly couldn't have done it without this site. I will be back in 2012 to lose the last 7kg. 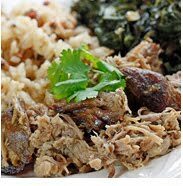 Thank you for reposting the recipe for Pernil–I love it and miss having it because it usually has a ton of olive oil, et al! It seemed cosmic because I found this recipe AND an add for pork loin for $1.89 a pound. *LOL* Guess what I'm having this weekend! I second everyone else. I love your recipes and have been following your blog religiously for over a year. I just made your chicken rolatini with spinach and it was amazing. My husband said it was the best meal I have ever made. I am looking to purchasing a crock pot. Which one do you recommend. I saw one at William Sonoma for $200 which looked really nice and sautes inside as well, but I don't think I need the Rolls Royce of crock pots to do a good job. Which one would you recommend? My fav is the chicken pot pie soup. It is sooo Yummy and ony 4pp! Thanks everyone! I too hope that 2012 brings a cookbook, and maybe an app. We shall see! Ahhh!!! My list of recipes to try just grew like CRAZY! All of those look amazing! That first one, the cake looks great! Loved your "skinny top 12 from 2011" so much I linked to it from my blog. These recipes will definitely get folks back on track after all the holiday goodies. I think you should create an app. I'd pay for it! I would love a way to organize and bookmark my favorite recipes through an app on my iPad – or maybe you should consider writing a cookbook! I love sooo many of these recipes. Thank you! The steak sandwich looks out of this world!!! I love all your recipes, can't wait to try these! Gina I don't know how you find the time to create such wonderful recipes but please DON'T STOP you are my 'go to' website. I'm still waiting for your cookbook but I'm patient. Happy Holidays to you, your family and staff. oh yes, the Shitaki chicken was my FAVORITE recipe of last year. Signing in just to echo what Angela said…. please publish a skinnytaste cookbook! I have a lot of your recipes printed out but would love a cookbook. Many many thanks for lots of delicious meals! Made your stuffed pepper soup and garlic cheddar biscuits for dinner last night. Totally delicious. My husband even made a point of saying, "You should say thank you on the Website- it's been awesome!" So- thank you for all of the awesome recipes! JUST finished your light gingerbread cookies I requested! They were the hit of the holidays. Thanks SO much and all the healthy best for 2012.
my goal is to so so so cook more in 2012.
its makes a lot anyways if you try it i hope you like it as much as i do. and i am so excited to find this site. 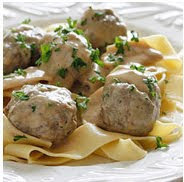 Yes, the meatballs are great in the crock pot, for 2012 I'm going to try some of my recipes in the crock and see how they turn out. So many are easily adaptable. And I agree, that zucchini cheese filling is great! Oh so many great recipes on your blog, Gina! 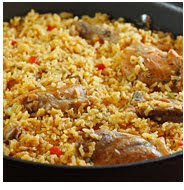 However, my family LOVES Arroz Con Pollo Lightened Up…we have it at least once a week! 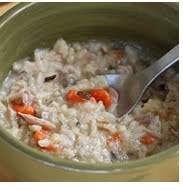 Another fav was the Chicken Sausage Brown Rice Stuffing…yum! Thank you and keep up the great work! 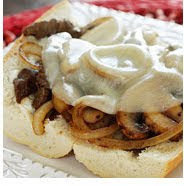 The steak and cheese sandwiches are wonderful! I have made them several times and my family of 5 loves them! My favorite was the pasta & beans (fagioli) recipe! Yum! I absolutely LOVE the chicken Rollatini stuffed with Zucchini and cheese. In fact, I could probably even eat the zucchini and cheese filling by itself–it's just that good! We're going back on Weight Watchers tomorrow and to kick start it, the first thing we're making is your crockpot italian meatballs. They look so GOOD! We've made a few of your meatballs/meatloafs before and they've all come out tasting delicious! Thanks for noticing, I just fixed the link. Sarah, try clicking on the photo of the shrimp avocado salad above. That'll get you there until the link is fixed. The chicken rice soup is my fave. Thank you for all the wonderful recipes you've shared with us. Gina I love your website made your taco dip and chicken with sun dried tomatoes and leeks for dinner last night. Today I made chicken pot pie soup, I love all your stuff! 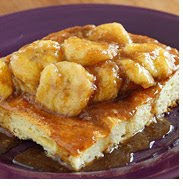 I made the Bananas Foster French toast for my father in law (who does not love bread or sweets) over Christmas. He LOVED it and asked for it again over New Year's weekend…much to my mother in law's shock and amazement 🙂 It really is wonderful! 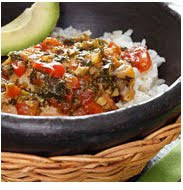 Sofrito chicken stew is my ALL time favorite…and the kids ask for it once a week! The zesty lime shrimp link does not work. The strawberry ones were my fave. I always use that recipe and modify it a little when making scones. 🙂 I have made a cran apple one that my co-workers LOVE!!!! But yeah, the Strawberry ones were AMAZING!!! Happy new year! Thank you so much for all of your hard work and dedication to us all. Your recipes are awsome and my family loves them. I look forward to a new year of fantastic recipes from your kitchen to mine! 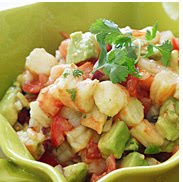 wow two of your favorites are also favorite of mine the shrimp avocado salad ans easy pasta and brocoli. Thank you for sharing. Which scones, I have so many! I do love scones, I have a new one coming soon!